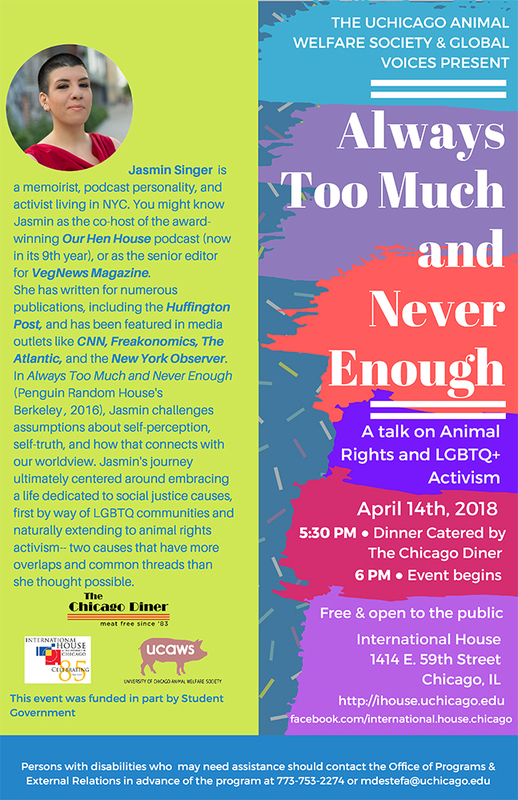 For the Annual Intersectional Animal Rights Talk, International House and the UChicago Animal Welfare Society welcome Jasmin Singer, LGBTQ+ and Animal Rights activist and Internet personality, to talk about her experiences as an activist. Singer is the author of the memoir, Always Too Much and Never Enough (Penguin Random House Berkley; 2016), the cohost of the Webby-recognized Our Hen House podcast, and the senior editor for the award-winning VegNews magazine. Singer's memoir documents her journey to find herself through juicing, veganism, and love, as she goes from feeding her emotions to feeding her soul. She was named a “40 Under 40” by The Advocate magazine and a top “Eco-Preneur” by Go magazine. 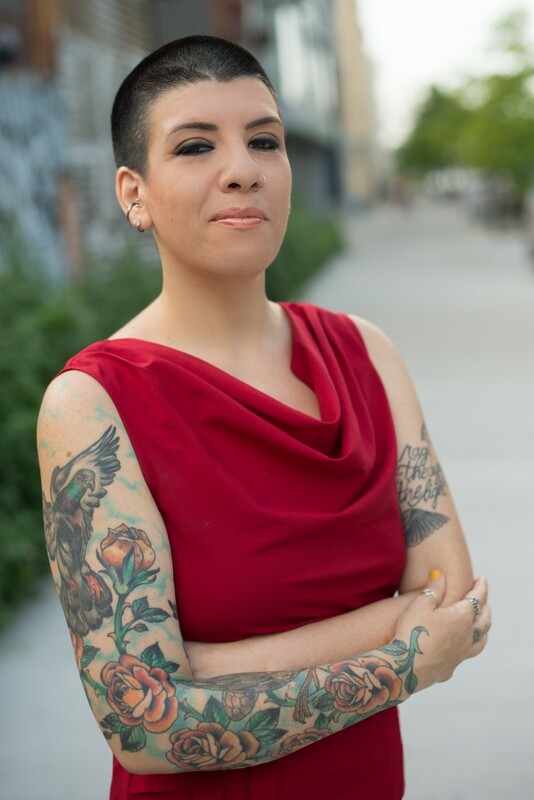 In addition to co-hosting Our Hen House, Singer can be seen in the award-winning documentaries Vegucated and The Ghosts In Our Machine, and has also appeared on the Dr. Oz Show and HuffPo Live. She has contributed to several anthologies (including Defiant Daughters; Running, Eating, Thinking; and Circles of Compassion), and has led hundreds of workshops and talks around the globe. Last year, Jasmin's TedX talk, "Compassion Unlocks Identity," was published. This event is co-sponsored by the International House Global Voices Performing Arts and Lecture Series, the UChicago Animal Welfare Society, the Chicago Diner, and Student Government.